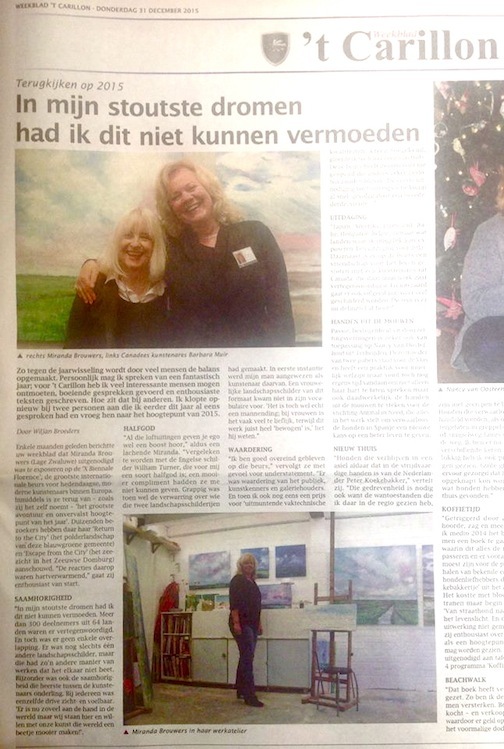 Barbara Muir Paints: The Happy People Project attracts Dutch media! -- over the moon Happy! 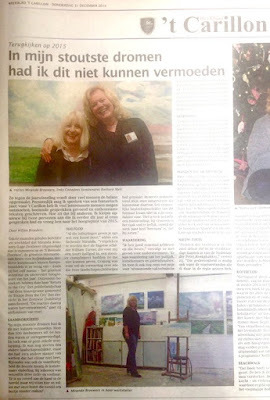 The Happy People Project attracts Dutch media! -- over the moon Happy! Dutch newspaper, The Carillon today. Miranda showed at the Florence Biennale in October. their mood and make them happy. And it worked. 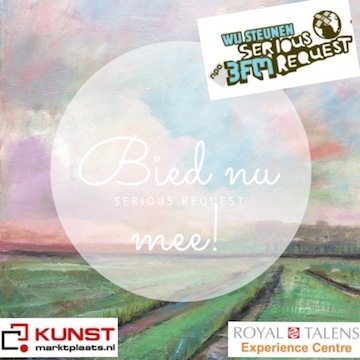 from December 18 - 23 by top Dutch radio and TV personalities. and other spots in Europe. to do that now that we are thousands of miles apart. and a shot of the article in the paper. Very exciting. What a great post. You met some amazing people over in Florence and Miranda was obviously one of them. It's a great photo of you both that featured in the newspaper. I listened to the TED talk by Amy Cuddy and thoroughly enjoyed it. I can see why her power poses so inspired you and I love how you took the concept to the Florence art show with you. It was a timely and synchronistic thing for me to watch it today so thank you for sharing. I also loved your previous heartfelt post about love. ready for New Year's Eve, which is always really fun at our house. packed with joyous experiences, and wonderful loving friends and family. I' m trying to respond again. It's my thirth time I think. Still being happy! Loved to read our story on your blog. Florence was So inspiring and So are You when we speek each other. I hope when we are going to inspire a lot of people with the happy People Project. 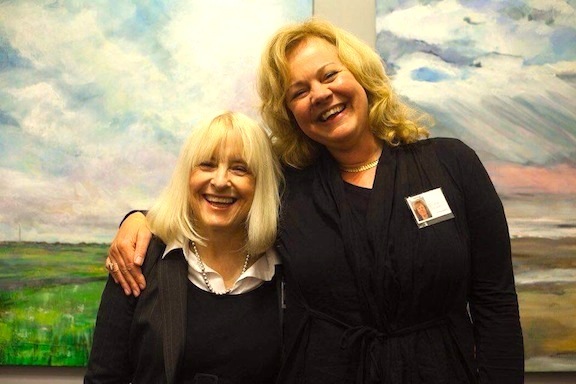 For 2016 I wish everybody a friend just like you, who Will give them positive energie to create!